Kömmerling PremiLine PRO PVCu sliding patio doors from Everglade Windows are Lifetime Homes accredited and Secured by Design. Our PVCu sliding patio doors are available with 2, 3 or 4 panels and in a full range of colours so you can offer lots of design options for your customers. There is also a choice of threshold options and the door can be perfectly matched to our Kömmerling PVCu windows. The Kömmerling patio door is easy to operate and has a high-security interlock shootbolt locking system for your customers’ peace of mind. Its Lifetime Home accreditation means the Kömmerling patio door has been specially developed to create better living environments for everybody, especially the young, the elderly and people with reduced mobility. To satisfy these requirements, operating controls and handles on the door are no higher than 1200mm from the floor. 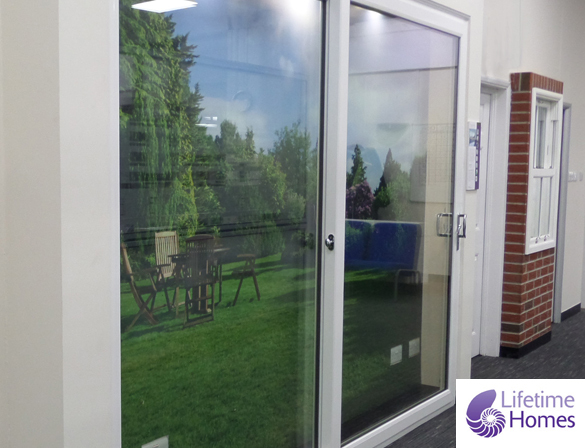 The sliding patio door is internally glazed and has fully reinforced frames for top security. It is also Secured by Design and fully Document Q compliant, so it is ideal for social housing applications as well as private domestic installations. Kömmerling patio doors are available with double or triple glazing and can offer U-Values as low as 1.8W/m2K. This level of energy efficiency ensures that there is little chance of condensation or draughts for your customers, meaning fewer call backs. Kömmerling PremiLine PRO PVCu sliding patio doors are available in a full range of colours and can be suited with Kömmerling PVCu windows. 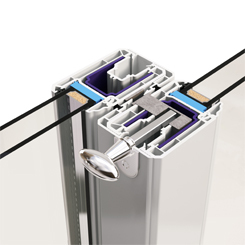 Our Kömmerling patio doors have the optional upgrade of being fitted with Ultion 3 Star high security cylinders. Kömmerling patio doors are fitted with ‘D’ shaped handles and are available in white, black or silver. Secured by Design is the Official Police Security Initiative that works to design out crime. 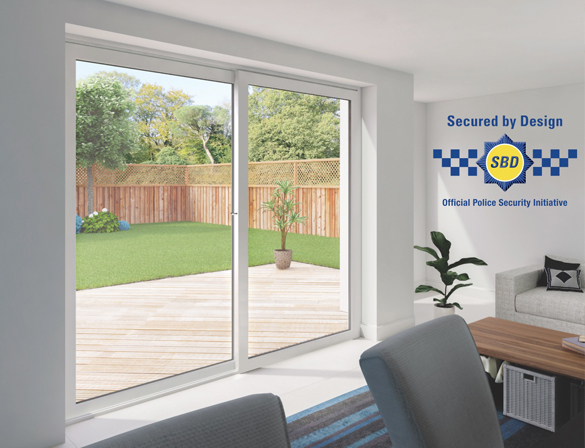 Our Kömmerling PVCu sliding patio doors are available with a Secured by Design accreditation. 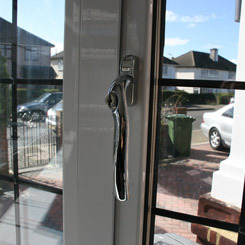 It is the only patio door that meets Secured by Design accreditation without using unsightly plunge bolts. It has a clever concealed locking mechanism and a fully reinforced frame, so you can offer better security and great design for your customers.